Is it snowing in Les Menuires ?Merci! 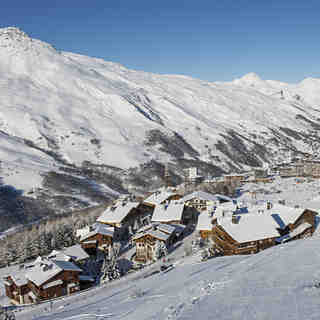 Les Menuires is a small village resort that offers a cheap way to ski in Les 3 Vallées. 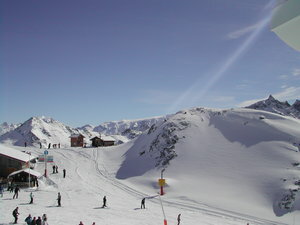 The 3 valley ski area is huge and will keep you amused for more than a week, it also offers something for everyone with over 600km of piste waiting to be explored. 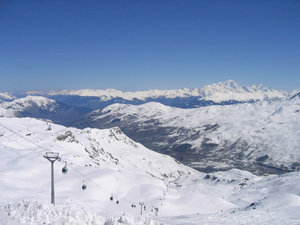 Access to the other resorts is quick and convenient and you can ski to you door in most places. Off the slopes the village at Les Menuires lacks the mountain charm of Meribel and Mottaret and the shopping malls are somewhat gloomy. 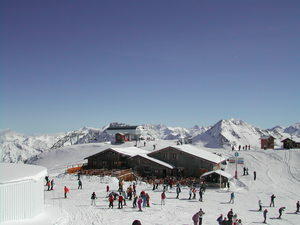 Les Menuires does however provide more than adequate services for the skier and there is a good selection of restaurants. Night life is lively with a host of bars and discos. 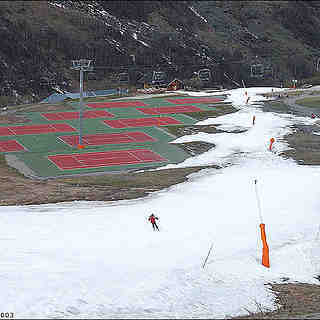 Les Menuires is the cheapest resort in the 3 valley complex. Awesome domain to ski or indeed to visit. Splendid, superbly situated and well managed. All the elements for a perfect stay. Les Menuires to Geneva International Airport is 193 km by highway from Albertville. Journey time approximately 2h20 min. If you follow the national road to Annecy south or north entrance you have 147 km and 2h15 journey times. Saturdays are the heaviest days of circulation on both. Snowy conditions, slower traveling speed, highway tunnel regulation, accidents and temporary road closures can all add to traveling congestion and journey time. It is imperative to allow for sufficient time to arrive at Geneva airport.